CoinDesk’s Crypto-Economics Explorer is a visual tool that aggregates data points across the industry to measure the size and opportunity of crypto markets in real-time. 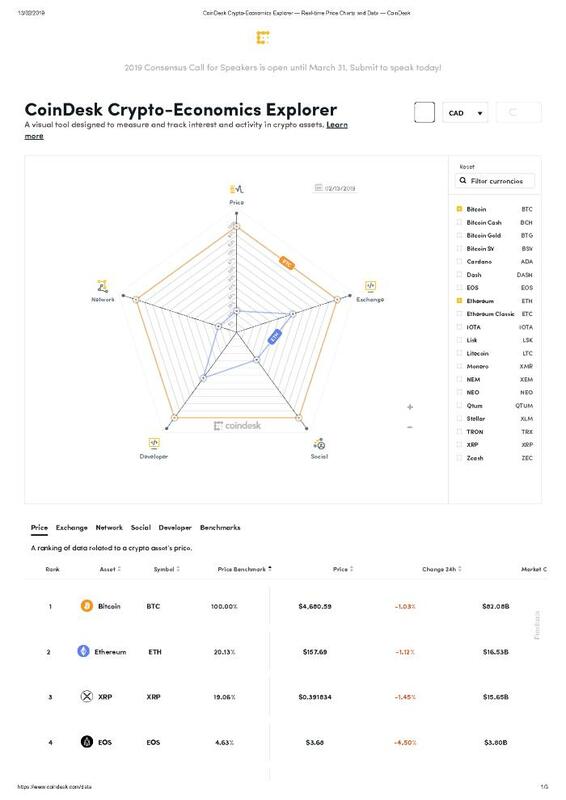 In addition to price and market cap, CoinDesk’s explorer provides users with a comprehensive way to view the crypto-economic forces that shape an asset’s market maturity, growth, and potential. Our measurements are segmented into five categories: Price, Exchange, Network, Social, and Developer. Each of these contain individual factors that are used to calculate a total score for each category. Taken together, these factors enable a user to compare the crypto-economics of an asset against another. This graph contains data about Bitcoin vs. Ethereum from February 13th, 2019.